Find 10 Delicious Thanksgiving Recipes For Real Food Eaters. Real food, fresh ingredients and healthy dishes for the entire family to enjoy. I think Thanksgiving is the perfect opportunity to enjoy wonderful homemade dishes. Don’t worry, you do not need to be a chef or have a lot of experience in the kitchen. My recipes are all very easy to make. The secret for 10 Homemade Thanksgiving Recipes For Real Food Eaters? I use the best quality ingredients and avoid boxes and cans as much as possible. My recipes are full of goodness, fresh local ingredients and are most importantly, made with love. Homemade food for my family is my number one priority. Want more Thanksgiving ideas, fun food, and appetizers? Check out my 7 Thanksgiving Fun Food Ideas. Or if you are looking for some holiday gifts please see 7 Great Stocking Stuffers For Healthy Eaters. I hope I inspire you to try new recipes this year. Happy Thanksgiving! 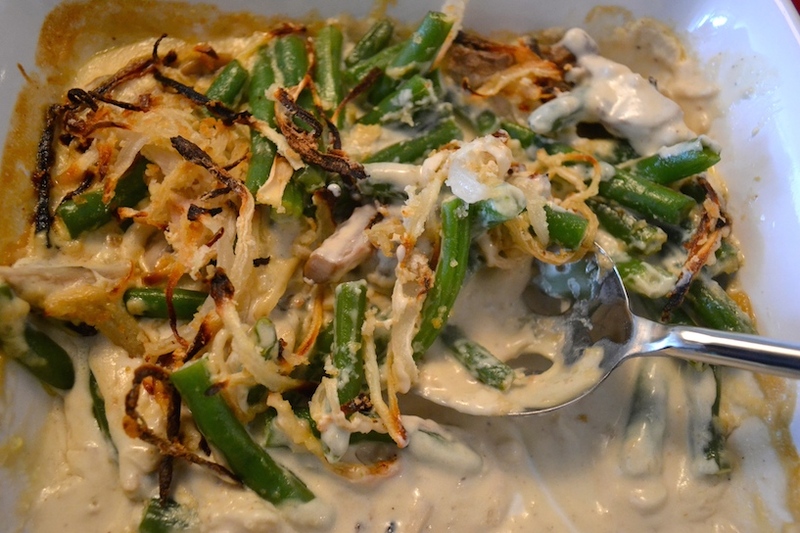 Green Bean Casserole (with homemade ingredients) is one of my favorite Thanksgiving side dishes. My husband makes it every year and we just love love love it. Creamy and comforting, with lots of mushrooms and homemade onion rings……… it is really delicious. Recipe HERE. 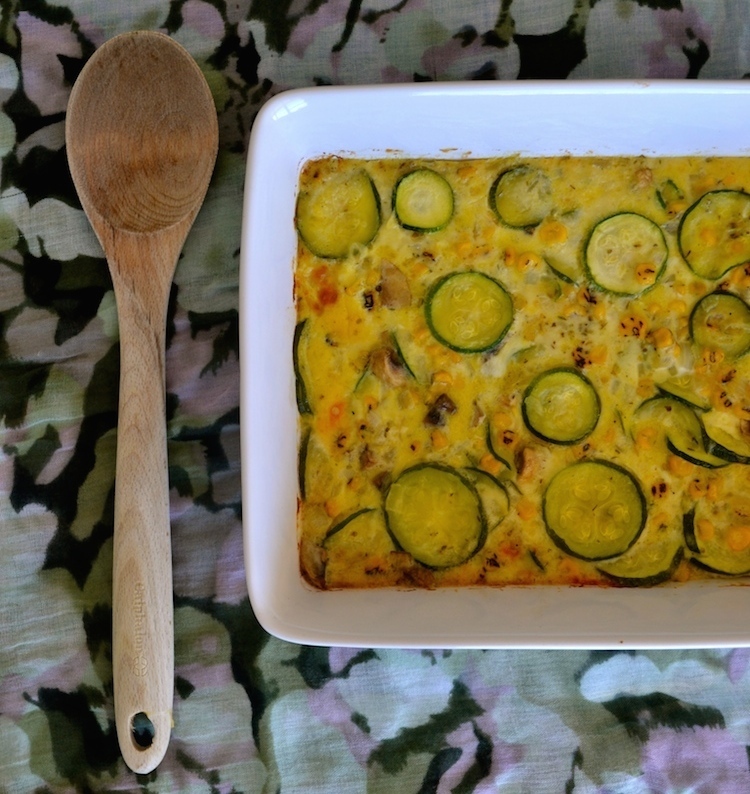 Cheesy Zucchini Pie with mushrooms, onions and sweet corn. Wow! Great combination with melted mozzarella cheese. It’s cheesy and so delicious! Recipe HERE. 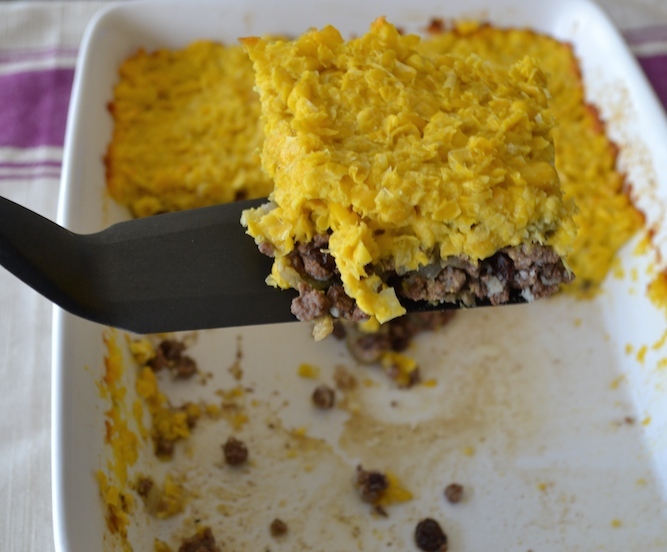 Sweet Corn Pie With Ground Beef Filling is one of my favorite recipes. I love the combination of sweet and salty ingredients. Recipe HERE. 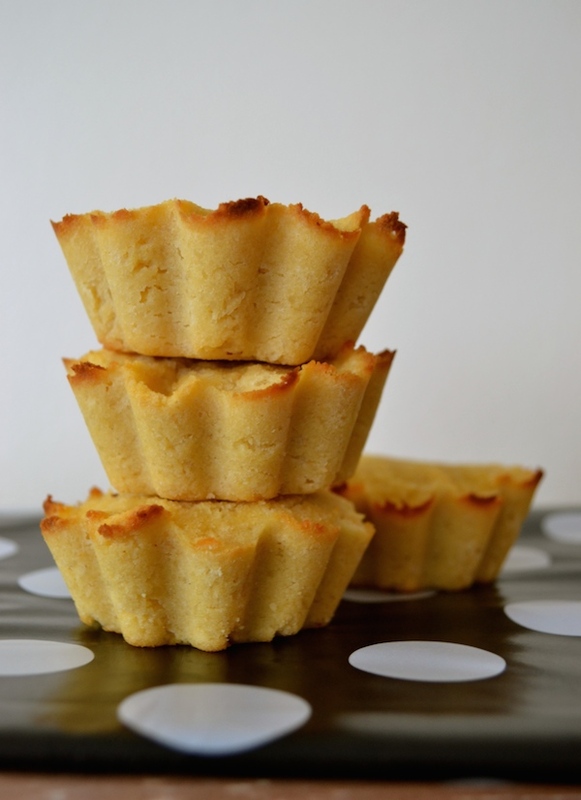 Here’s a fantastic grain and gluten free recipe for people who follow the Paleo Diet but still want to enjoy the taste of cornbread. Paleo Cornbread Muffins minus the corn. I promise they are sweet, moist and you won’t miss regular cornbread anymore. Recipe HERE. 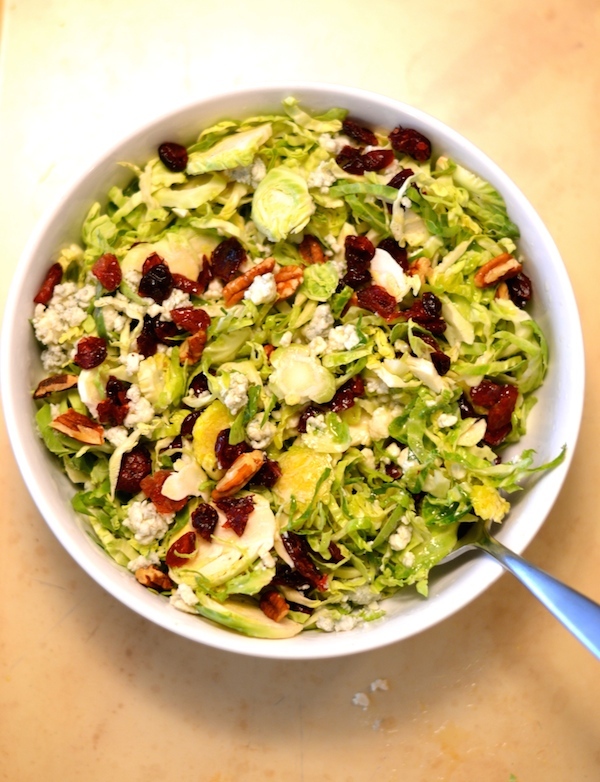 This is really an Amazing Shaved Brussels Sprout Salad recipe. Brussels sprouts sliced very thin to create an amazing slaw. This recipe even includes a homemade dressing. Recipe HERE. Creamy Homemade Corn Casserole is another great Holiday side dish. 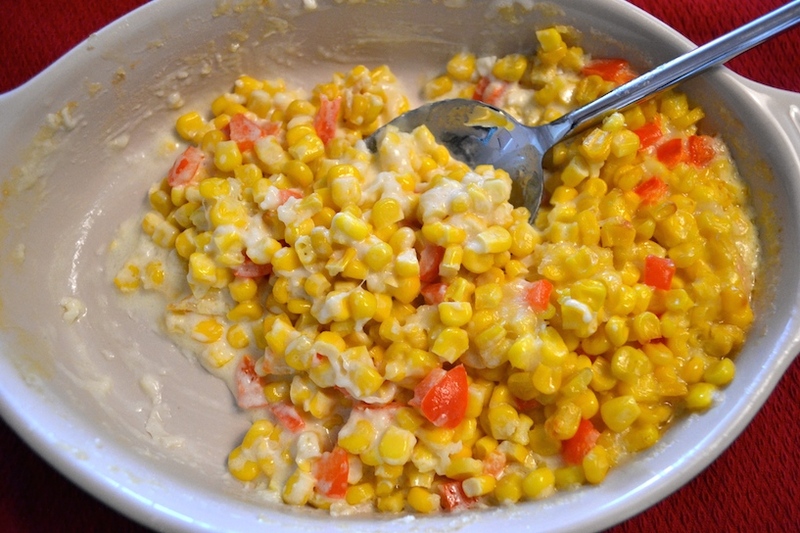 It is a homemade version of a typical cream of corn adding red peppers. It is cheesy, creamy and so comforting. Recipe HERE. 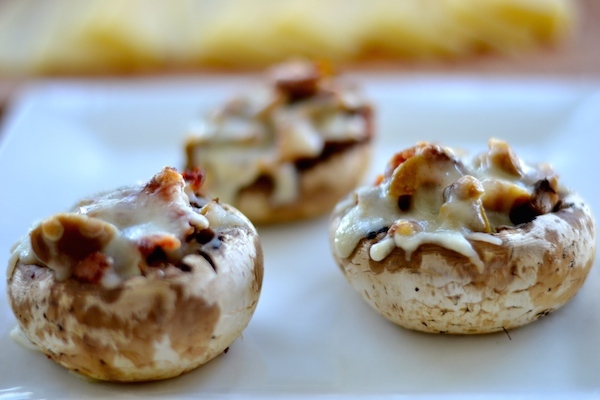 Impress your guest with this Mouth-Watering Bacon And Olive Stuffed Mushrooms recipe. Green olives, bacon, cheese, and mushrooms. It only takes about 30 minutes and you have such a delicious and fancy looking appetizer that everyone will love. Recipe HERE. 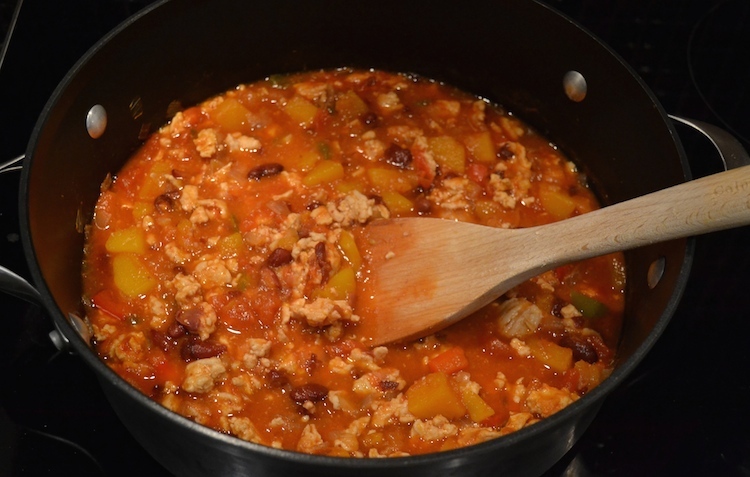 Turkey Pumpkin Chili is a great recipe using delicious and super nutritious pumpkin! It’s pumpkin season and there are so many ways you can incorporate pumpkin to your favorite dishes. Recipe HERE. 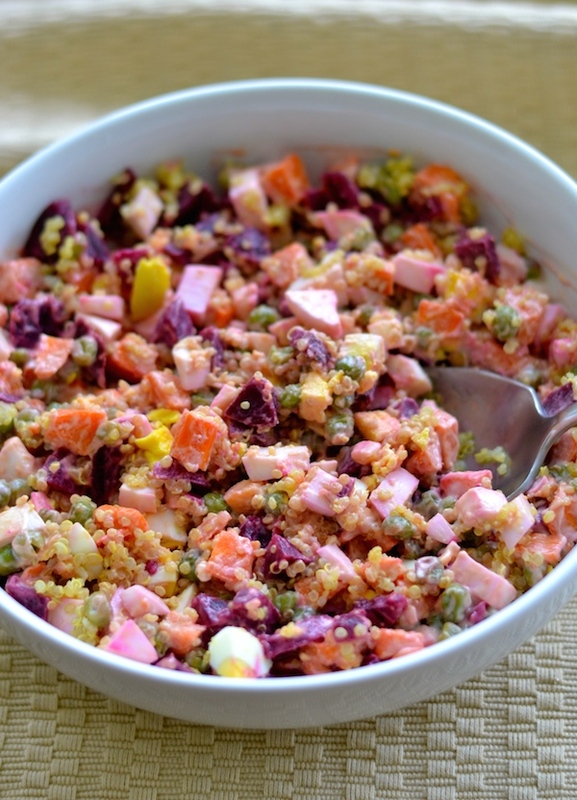 A new version of a traditional Russian salad adding delicious quinoa. I made this salad with hard boiled eggs, beets, peas, quinoa, carrots, and a little mayonnaise. This recipe is so delicious and it is also protein packed. Recipe HERE. 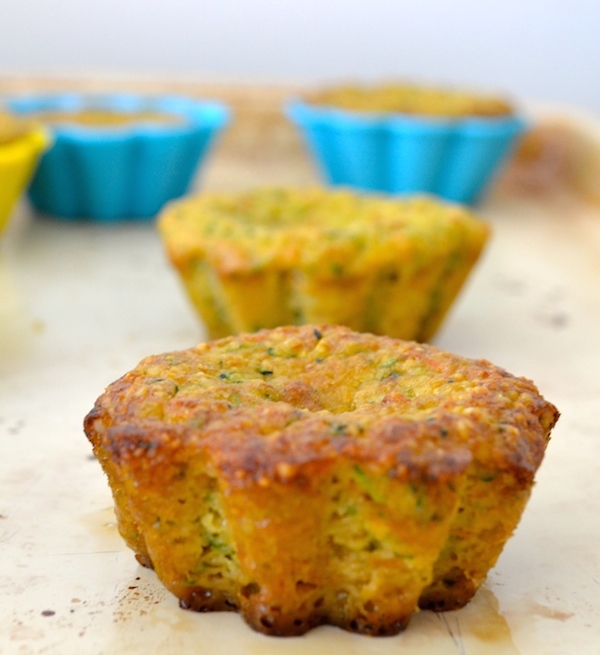 This is a Grain Free Zucchini And Carrot Muffins recipe. Healthy ingredients, nutritious vegetables, and about 30 minutes is all it takes for a delicious treat your whole family will enjoy. Recipe HERE.